As cheesy as it sounds, I always thought I’d visit Santorini years down the road; maybe on a honeymoon. 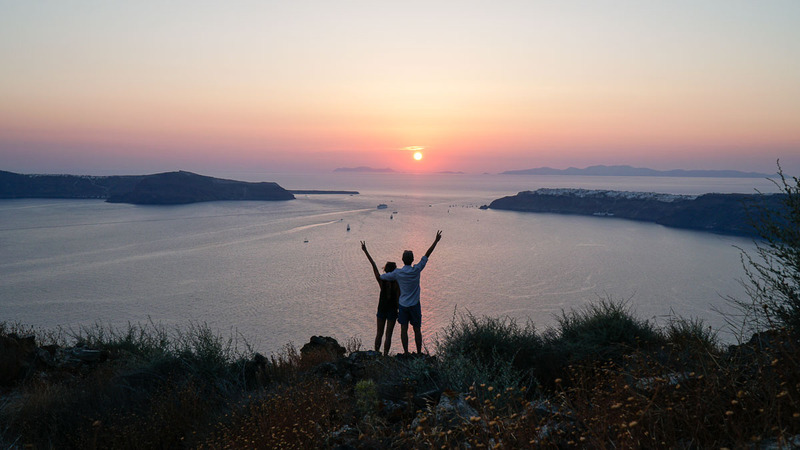 What could be more romantic than watching the sunset over Santorini’s famous caldera view? Thanks to budget flights and cosy Airbnbs/hostels, my bucket-list has been ticking itself off faster than I could have imagined. The thing is, budget traveling isn’t about scrimping on experiences. It’s really about prioritising what experiences you’re after. 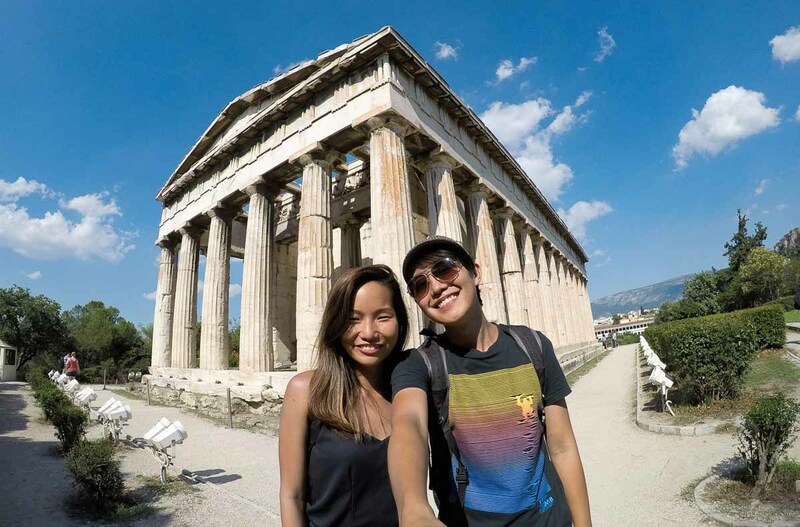 Here’s our 9-Day Greece itinerary, breaking down how we kept the budget under S$1,500/pax including flights and accommodation. *Look out for the suggested route at the top of each day for the highlights! Travel Insurance: As budget travellers, this one’s a huge essential for us. Many people pass travel insurance off as a non-essential, but it’s really a small expense to travel with a peace of mind. From mishaps during the trip to medical claims right after our trip, we’ve lost track of how many times our Travel Insurance helped us save money. DirectAsia offers really competitive rates and provides a wide coverage ranging from medical expenses to extreme sports and activities and even trip cancellation or amendment due to terrorist attacks. But the best part comes from their hassle-free claims settlement — over 80% of their travel claims are settled within 24hrs! If you travel frequently (and spontaneously at times), an Annual Travel Insurance will cost much less in the long run. It’s also more convenient than getting multiple single trip travel insurance. Exclusive for The Travel Intern readers! From now till 31st December 2018, DirectAsia is giving 40 + 10% off your Annual Travel Insurance when you quote <TTI10>! With the New Year approaching, it’s the perfect time to get your Annual Travel Insurance. 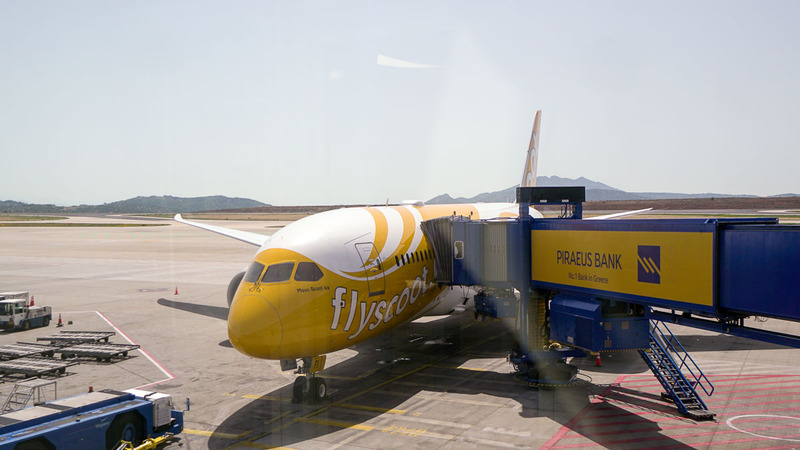 Scoot now flies non-stop direct to Athens 4 times a week in summer and 2 times a week in winter! We took the 2:45am flight, had solid block of time to sleep during the 11-hour flight and arrived at 8:25am — perfect to start the day going. Data SIM Card: The airport sells it at the post office at €16-28 but Vodafone or Wind booths can be found right outside main metro stations like Syntagma, Monastiraki etc. Their plans go for about €5-10 for 2.5GB. 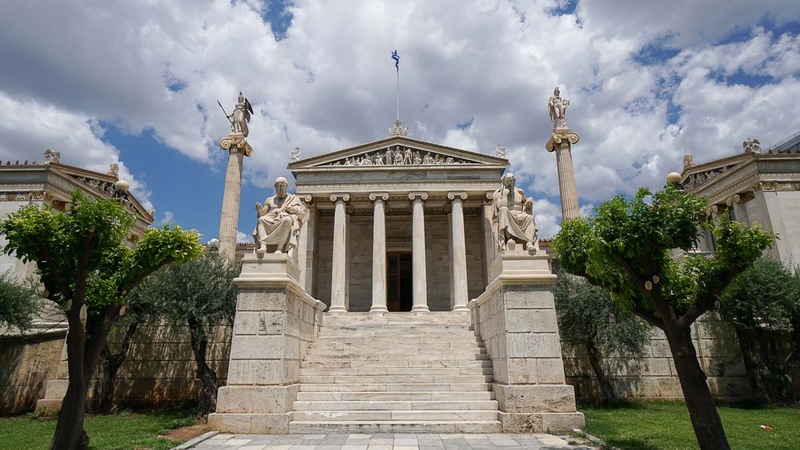 Getting Around in Athens: The metro system is pretty convenient although if you’re staying in the Acropolis or Syntagma area, all the main attractions are within walking distance. Metro tickets cost €1.40 for 90 minutes (regardless of transfers). Remember to validate them at the machines near the gantry or risk a hefty fine! 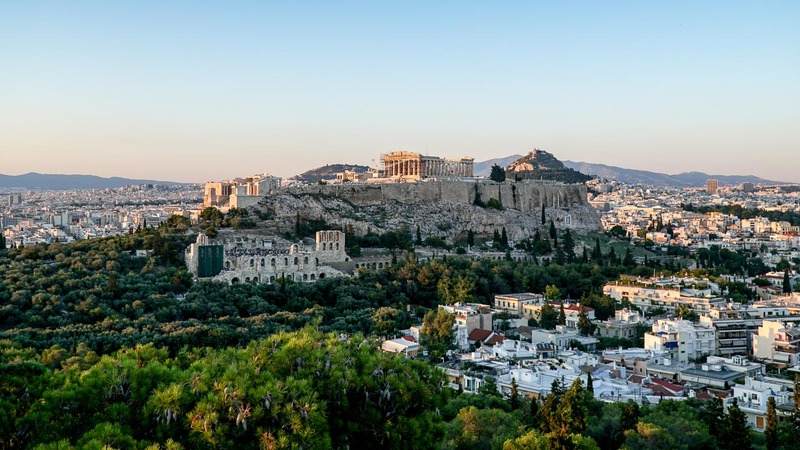 Suggested route: Catch the guard changing at Syntagma Square, sign up for a local walking tour, check out the Acropolis Museum, hike up Filopappou Hill before the sun sets. 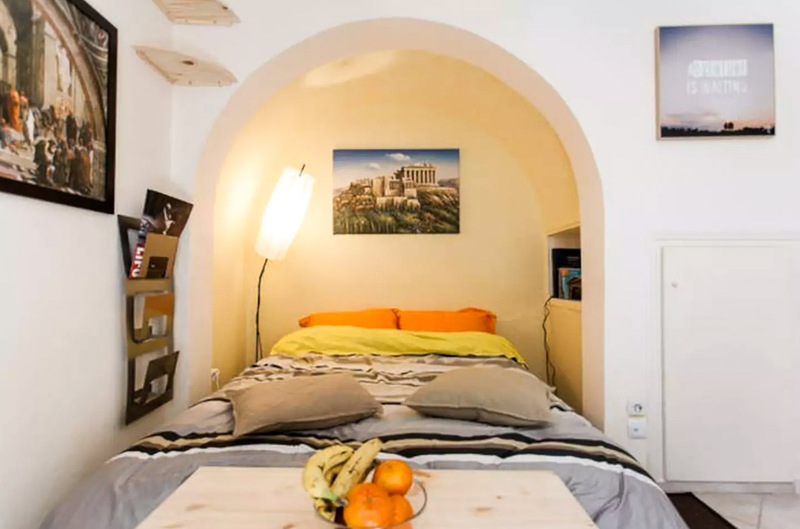 Accommodation: Our cosy airbnb in Plaka — located in the heart of all the ruins and attractions. All the main sights were just a 15-minute walk away. Our host Sean was one of the nicest Airbnb hosts we’ve met. Spent quite a bit of time describing the area around the apartment with maps and gave lots of personal recommendations around the area. 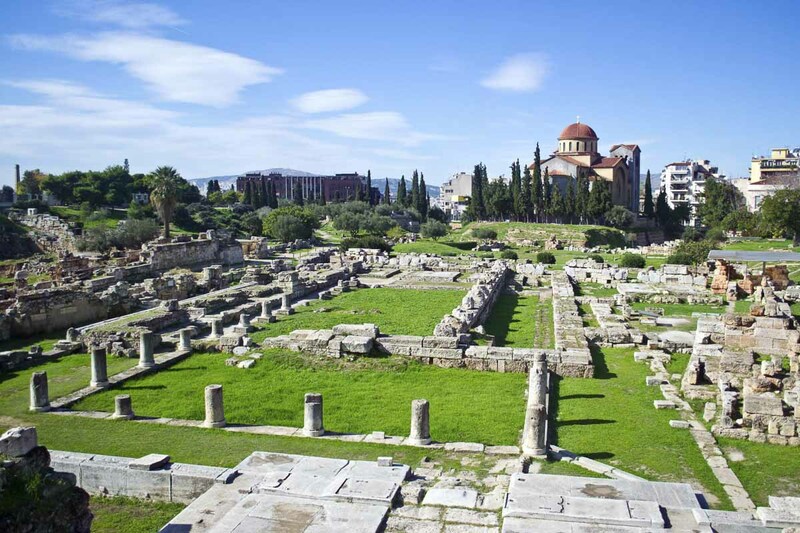 Prior to the trip, we signed up for a free local tour by a really neat initiative called “This is my Athens”. 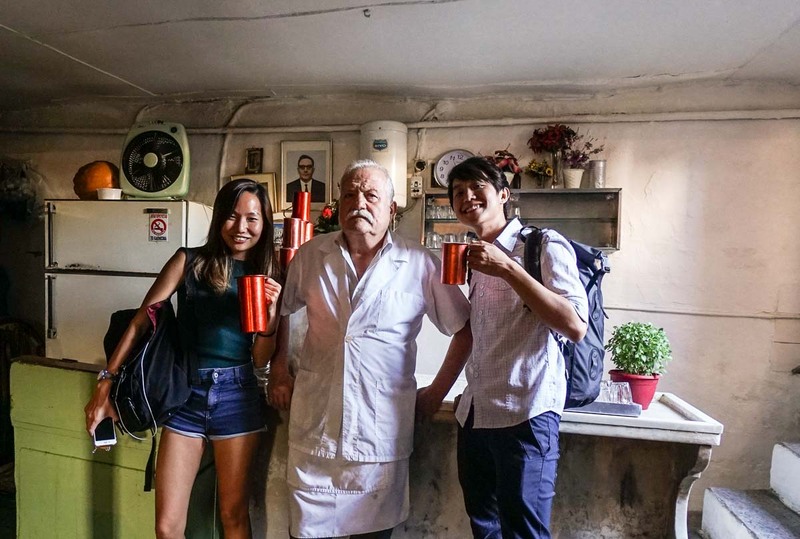 Unlike some of the free walking tours found in Europe —where the guides end up nudging you for a tip at the end — these guides really pride themselves on building friendships, not tips and are they’re genuinely proud of their city. We walked past gorgeous buildings like the Academy. Stopped by in Omonia for a quick meal at a Magirion — it’s like economic rice in Singapore but you get to fill up a plate of whatever you like for a flat price. Small plate (like the one above, fits 1 meat, 1 carb, 2 veg) for €4 and a bigger one for €7. Super value for money. Saw some amazing street art in Psyri. Loukanikos — translates to Sausage. 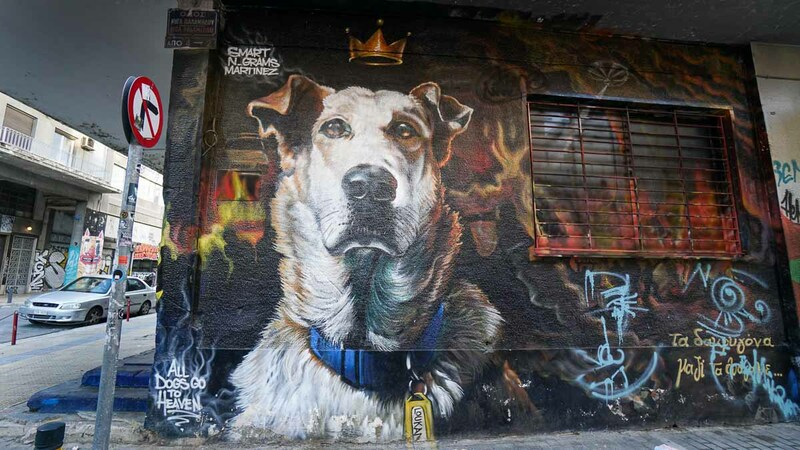 This dog was famous for always being on the front lines of riots against the Greek police. I think our favourite part really, was exchanging insights on life in an underground tavern (named “Secret Underground Restaurant” on google maps I kid you not). After having 1.5L of wine straight out of barrels, a side of grilled fish, and a basket of bread, our bill came up to only €20! The chef might look a little stern and doesn’t speak much English but is really one of the friendliest around. Then again, I don’t think we’ve met any unfriendly Greeks. The tours are officially 2-3hours but we spent close to 5 hours and when it was time to finally split ways, we felt like we were leaving an old friend. Each tour is a little different so let your guide know what interests you; something a little more local or more iconic. Do sign up early and put a little effort into sharing about yourself. The community truly sees it as building a relationship with the local guide. 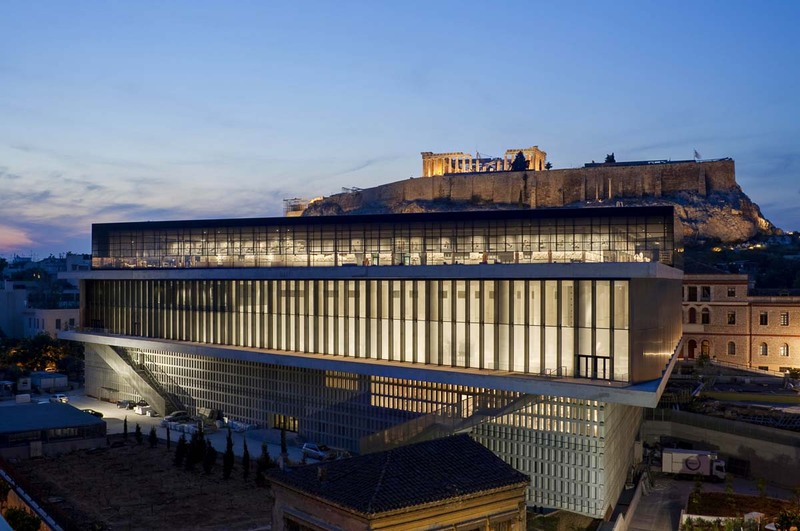 If there’s time before the sun sets, check out the Acropolis Museum. A great way to start is by watching the video on the top floor to understand some context of the Greek ruins you’ll soon be exploring. 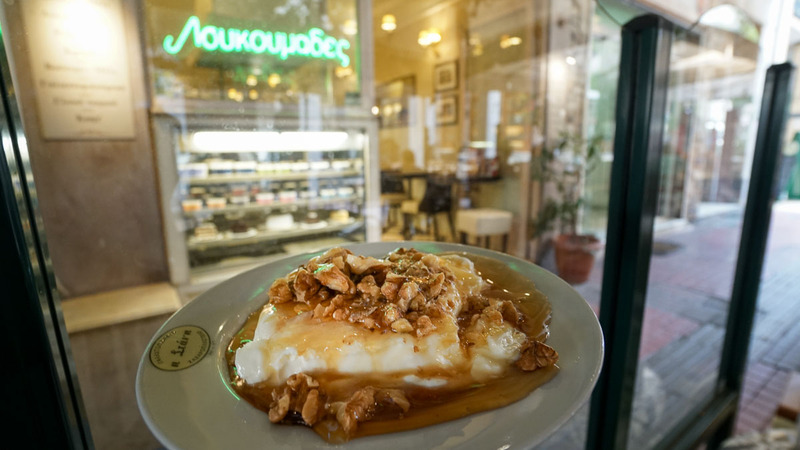 Stani, located in Omonia — One of the few remaining places that serve traditional Greek yogurt. Choose between sheep, cow or goat’s yogurt but sheep’s is a local favourite for its rich texture. We also bought packaged yogurts from the mini mart for breakfast almost everyday. Our favourite was from a brand called Total. 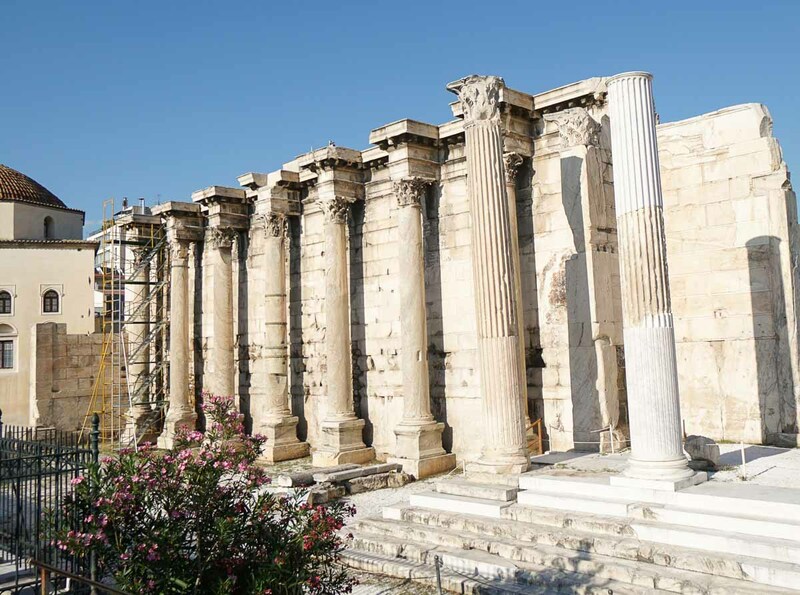 Suggested route: Start from the Acropolis, walk over to the Ancient Agora, check out the Monastiraki Flea Market, grab lunch along Ermou street, a quick stop at Roman Agora and Hadrian’s library (this site closes earlier than the rest), end with the Temple of Zeus. 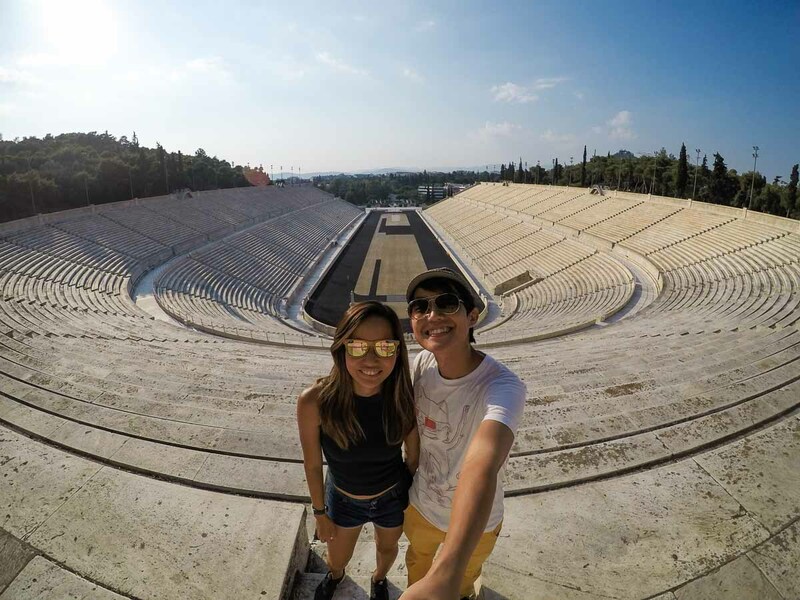 After which, check out the Panathenaic stadium before exploring and settling for dinner around Plaka. 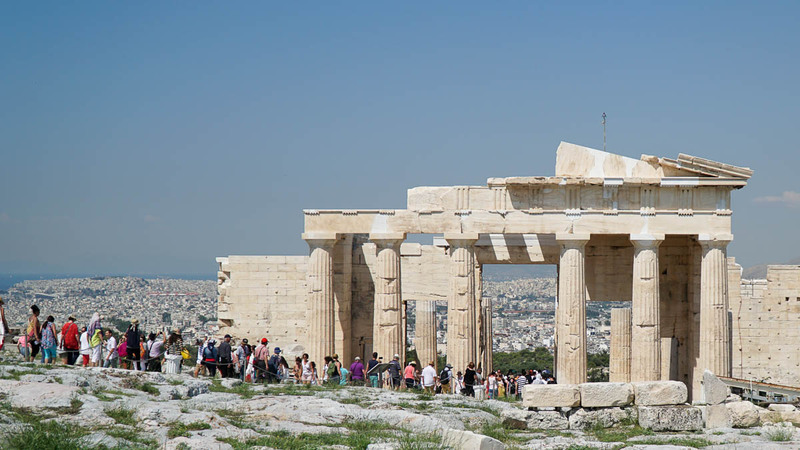 Start day 2 as early as you can and make your first stop at the Acropolis! The crowd starts piling in early and you’ll have little hope in taking photos without a hundred other photo bombers. The other time slot would probably be in the later afternoon. *Pro-tip: Buy the combo tickets at any of the other 6 sites which will probably not have a queue at all. They last for 5 days so buy your tickets a day before! Students get 50% off so bring your student cards along! 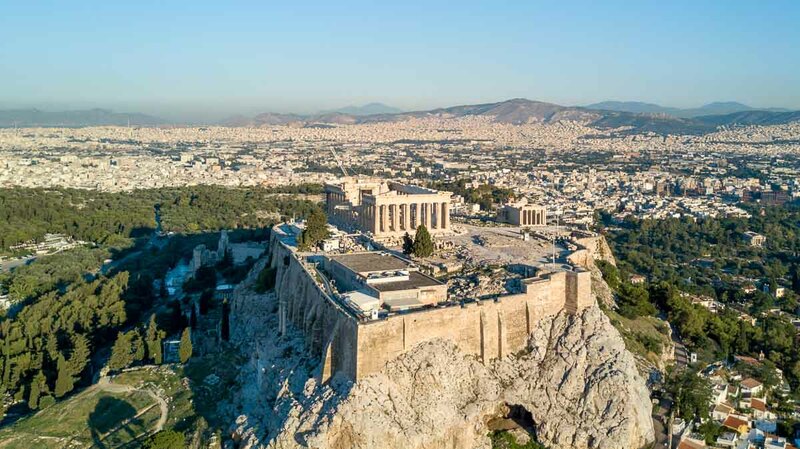 Probably the most famous icon of Athens, you can spot the famous Parthenon columns on top of a large flat rock from almost anywhere in the city. 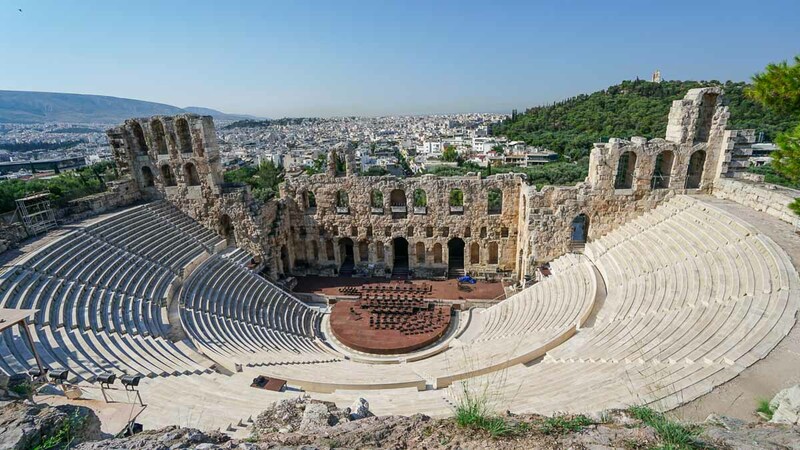 Apart from the Parthenon, look out for the Athena temple, remains of the Theatre of Dionysus and a fully reconstructed Odeon of Herodes Atticus — a functioning stone theatre that hosts Greek as well as international performances between May – October. Northwest of the Acropolis, you can find a couple of fully reconstructed ancient buildings. 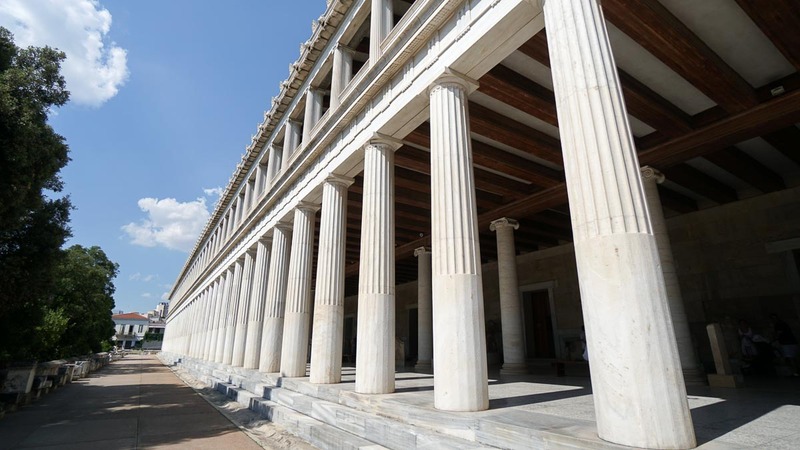 The first one you’ll probably see is the Stoa of Attalos — now houses the museum of Ancient Agora with clay, bronze and glass objects, sculptures, coins and inscriptions from the 7th to the 5th century BC. The other building within the Ancient Agora is the Temple of Hephaestus which was rebuilt from the ground up. Even though less than 15 columns stay standing, it’s believed that there used to be 104 and one can probably imagine how grand this temple was in its full glory. The site dates back to 3000BC but was later converted into a cemetery ground back until 6th century A.D. If you’re short on time, just visiting the first 3 is already making a bang for your buck as the last 3 sights are pretty worn down ruins, leaving most of it up to your imagination. The Keramikos did have a really nice museum that we personally enjoyed more than the Acropolis museum. 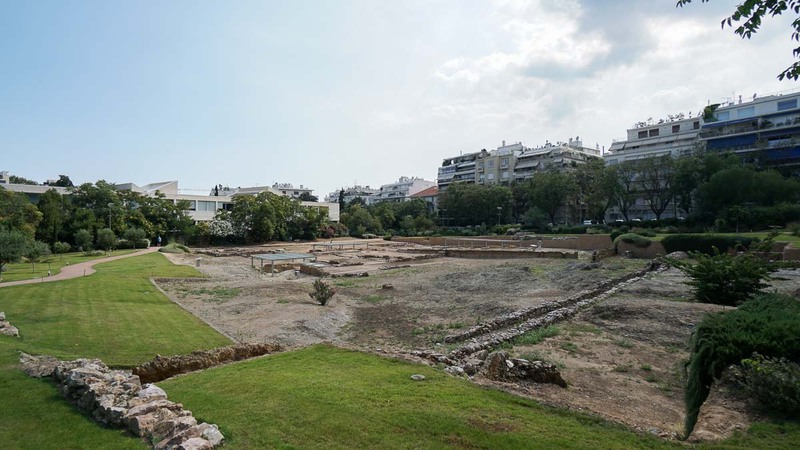 The Lyceum, while there’s not much left, was one of the most important sites in Greek history where the greatest philosophers (Socrates, Plata and Aristotle) once taught at. A short walk from the Temple of Zeus is the Panathenaic Stadium where the 2004 Athens Olympics was held. Tickets cost €5/2.5 (reduced) and comes with an audio guide that brings you through 12 different points around the stadium. 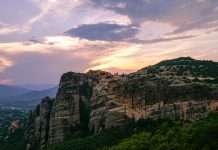 Suggested route: Take the train to Kalambaka (Meteora), rent a scooter or e-bike, ride through the village of Kastraki and grab some lunch, explore the monasteries, catch the sunset, ride back to Kalambaka for dinner. 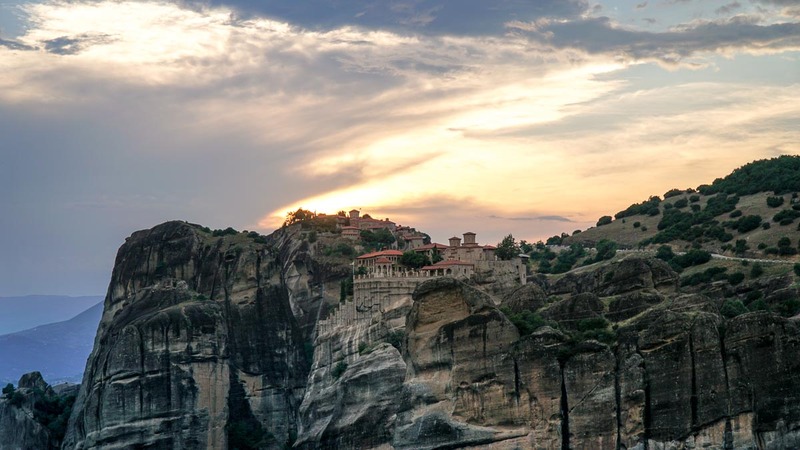 Meteora is famous for it’s floating monasteries built on top of rocks by monks in the 3rd – 6th century. On cloudy days, you’ll see the monasteries sticking out of the clouds — thus nicknamed “floating monasteries”. One of James Bond’s movies was filmed here too. The boulders are also famous for rock climbing and hikes with amazing views from the top. We knew we had to make a trip up to see for ourselves. Athens – Kalambaka (Meteora): Checked out of the Airbnb early to catch the 8:30am train to Meteora from the Larissa OSE station. We recommend booking your tickets online in advance to avoid commissions from tour agents. It’s a 5 hour train ride so we arrived around 1pm at Kalambaka Station. Day trips from Athens are quite popular and most people have day drivers waiting for them right outside the station. We personally prefer to explore on our own so we decided to at least stay a night. Accommodation: Meteora Central Hostel — super spacious dorm beds that come with privacy curtains resembling Japanese styled hostel beds. Loved it! *Pro-tip: Drop them an email to make a booking or give them a call if you’re already in town to get the lowest rates. We rented a 125cc scooter for €20 to explore on our own; e-bikes are also available for those without a bike license. We don’t normally go for tours but we found the Sunset tour run by Visit Meteora great for giving us lots of historical context of the place — stories of how the monasteries started and the lives that grew around it. It starts from 4:30pm and ends around 9:30pm depending on when the sun sets. For €25/pax, you travel around in a luxury mini bus covering some of the key sights including: the village of Kastriki, a 3rd century Byzantine church, caves previously inhabited by hermit monks, a walk into 2 monasteries and ending the day at a famous sunset point where you can spot all 6 of the last standing monasteries. Check out the opening hours beforehand as each monastery takes turn to close one day of the week. 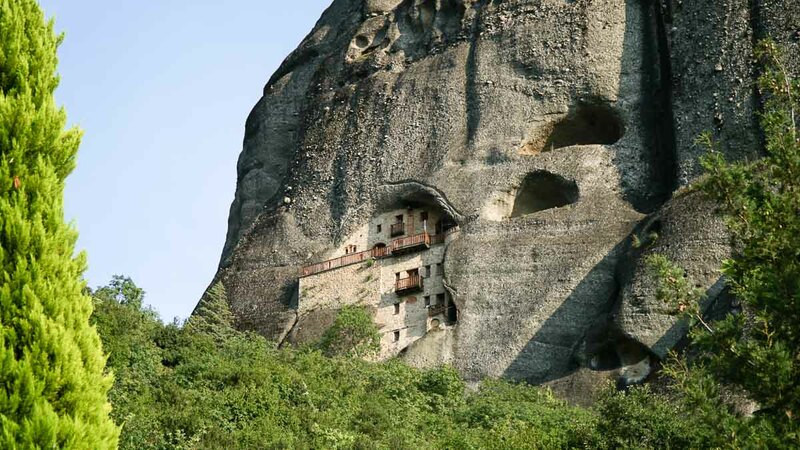 At one point in time, there were about 24 monasteries, each built on its individual boulders. Today, only 6 remain (2 of which are taken over by nuns). 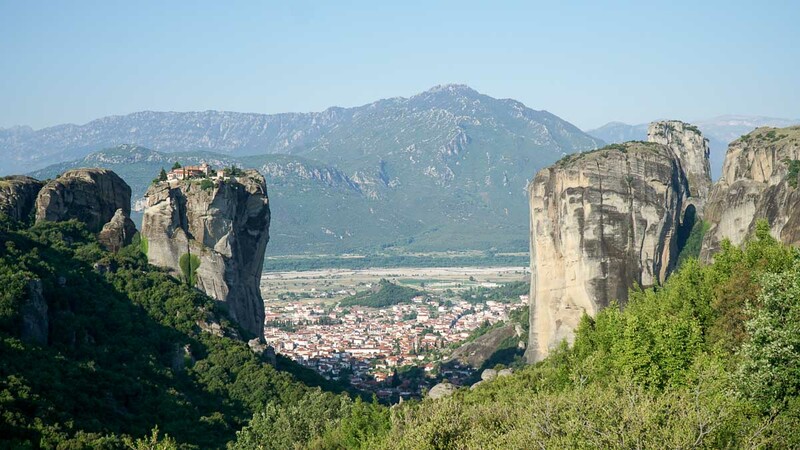 The famous monasteries are the Holy Trinity (where one of the James Bond movies was filmed), the Grand Meteora and Varrlam. 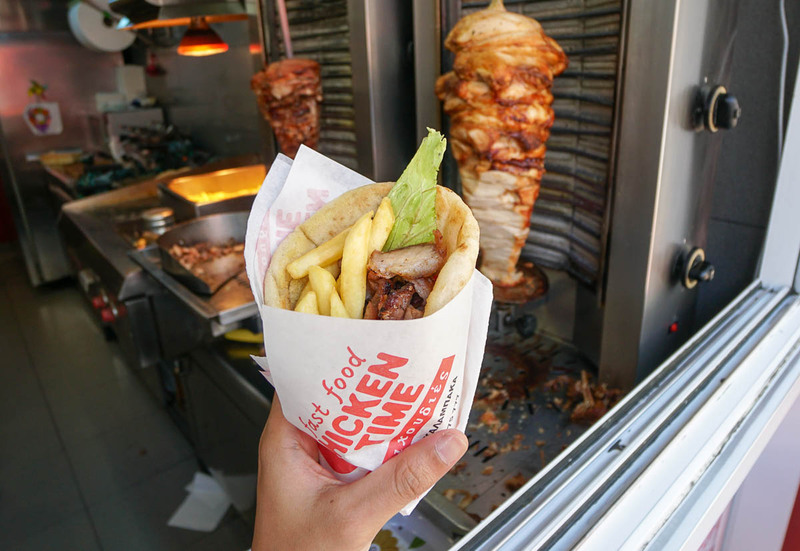 For cheap eats in the city of Kalambaka, Chicken Time seemed like the most popular place for Gyros — usually the only one filled up during lunch. 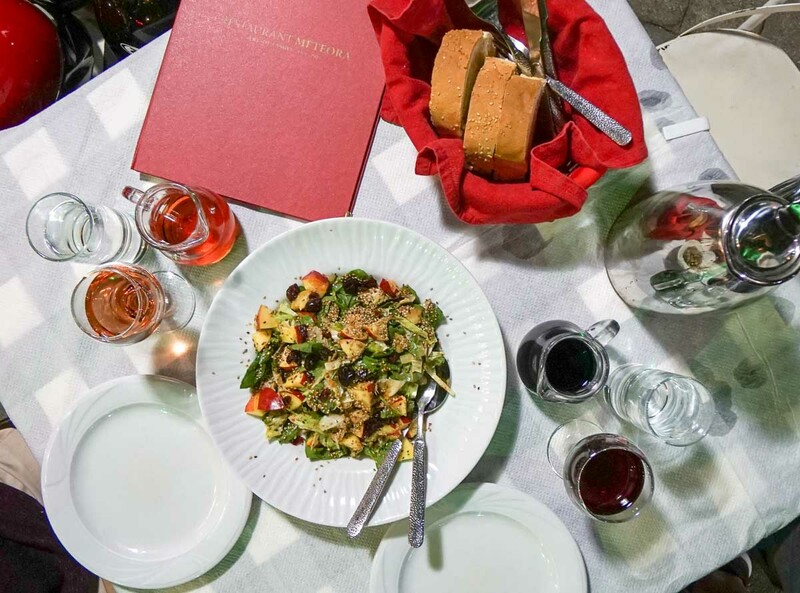 For something a little fancier, check out Restaurant Meteora which serves good food and house wines all at decent prices — we ended up here for lunch the next day too. 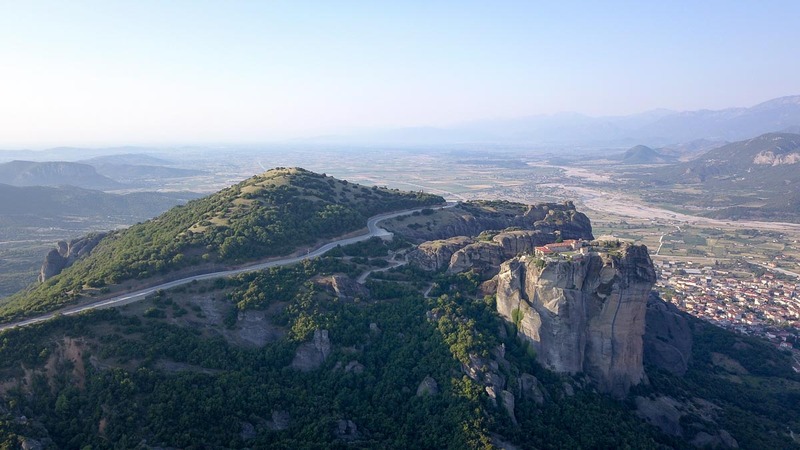 Suggested route: Ride up during sunrise, ride back to the hostel and get picked up for the Scrambling tour, have lunch at Restaurant Meteora, wash up and get ready to catch the train back to Athens. 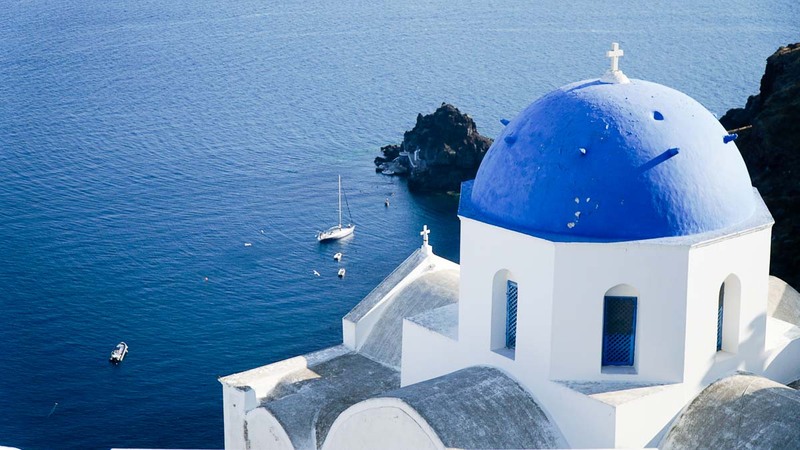 Take the metro to Pireaus to catch the ferry to Thira (Santorini). Since sunset points are usually super crowded, we have this habit of visiting a second time during sunrise and boy did we not regret. Being at the same spot during sunrise was a whole other experience. The only other living thing there was a little kitten who kept us company through the cold morning breeze. Instead of watching the sun, this time we’d watch light slowly flooding the boulders, creeping its way toward the monasteries. p.s. You might want to bring some cat-friendly treats up! 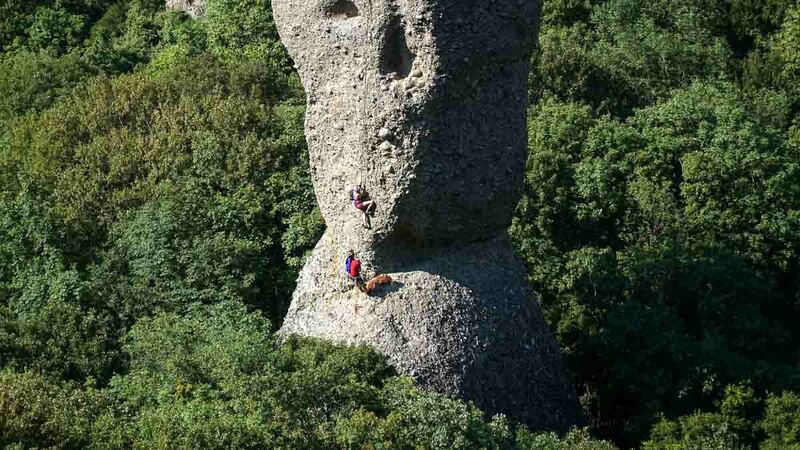 Scrambling tour with Visit Meteora: Rock climbing and hiking are popular activities in Meteora. 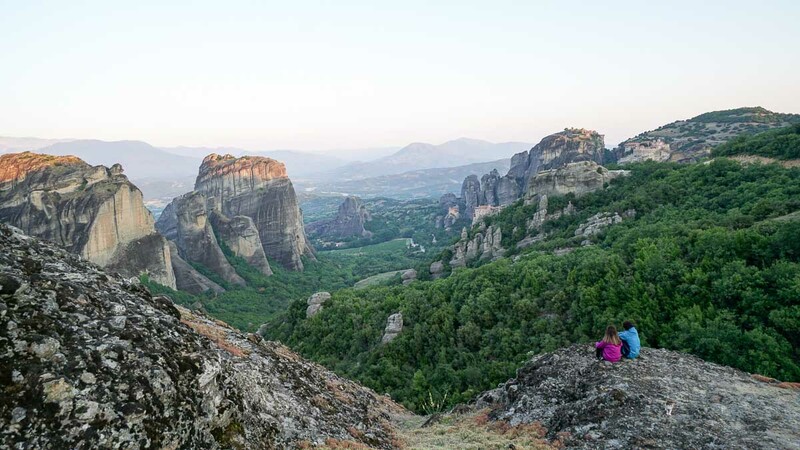 Being short on time, we signed up for a Scrambling tour which was a little of both and I think it was easily our favourite experience in Meteora. The tour starts with an easy 15-minute hike where you’ll pass by the Spindle — a famous rock climbing spot for the pros. 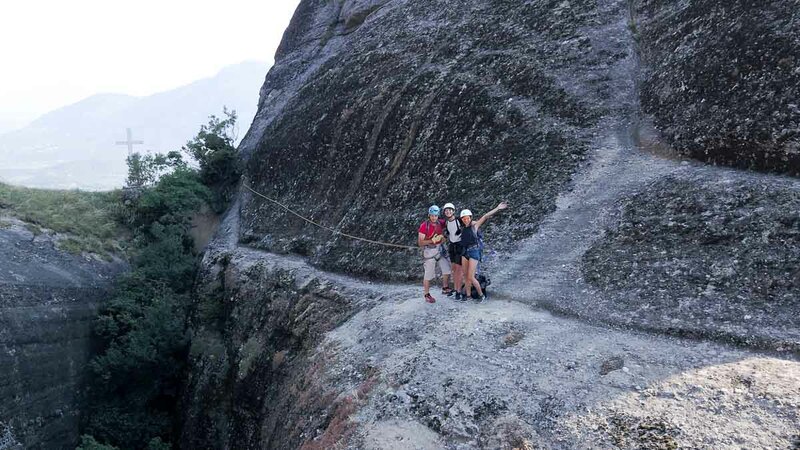 The next part is where you’ll realise why your guide had prepared ropes, helmets and harnesses prepared. Despite the steep face, there were lots of nice ridges you could stick your foot in or use to grip your way up. Our guide was also very reassuring and safe. 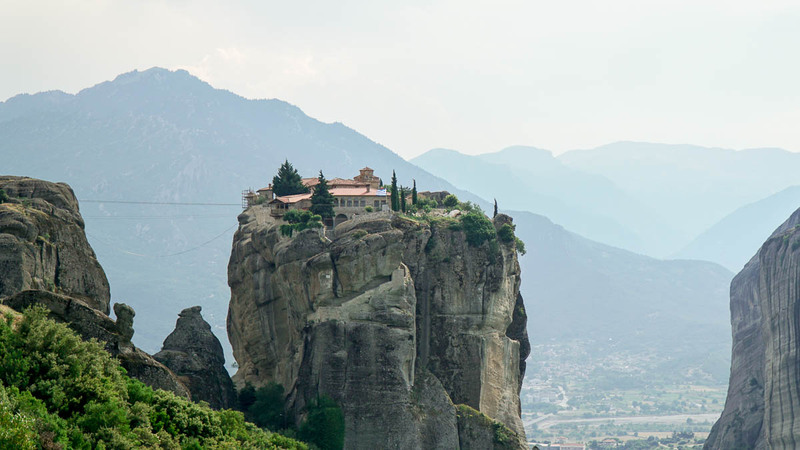 The end point was the top of the tallest rock in Meteora — the Great Saint —where you could overlook the entire town of Kalambaka. A sight definitely worth scrambling for. The tour can take between 2-4 hours depending on the group size and overall group fitness but the guide claims even 8-year-olds have done the route. We got back just in time for lunch at the Meteora Restaurant. 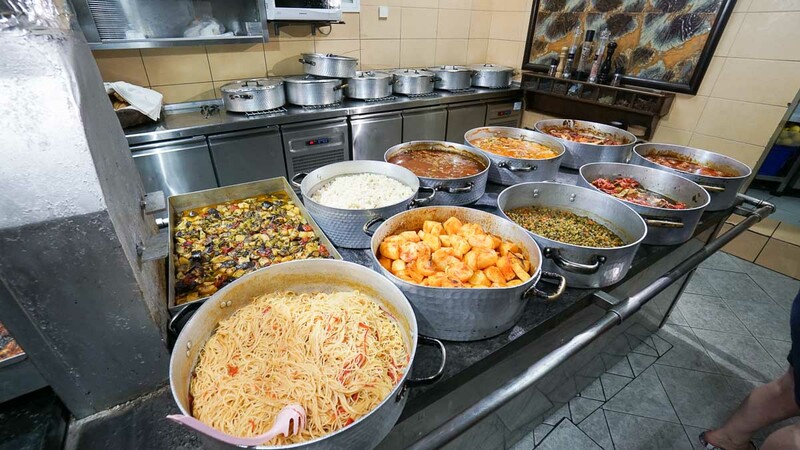 It gets quite crowded during dinner but the specialty at lunch is, you’ll be invited into the kitchen to choose from an array of Greek dishes from €8-12 all cooked by the mama of the restaurant. The portions were generous and food was delicious! Train back to Athens: We caught the 5pm train back to Athens, arrived at 11, just in time to catch the 11:55pm ferry to Santorini at Pireaus. Blue Star Ferry: The cheapest seats on the ferry were air seats which cost €40 but don’t recline that much. Since it was a 9 hour ride, we opted for the 4 bed cabin at €60 (split by gender). A good night’s sleep is definitely worth an extra €20. You can also get private cabins at €80/pax for a double room. 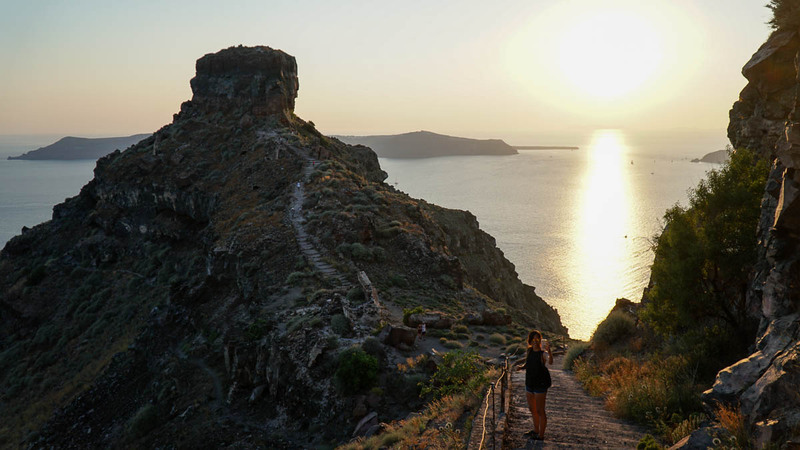 Suggested route: Check-in at the Airbnb, grab a meal in Fira, rent an ATV or Scooter, check out the Three bells of Fira, order a wine tasting set at Santos Winery, explore the castle ruins at Skaros Rock and enjoy the sunset from the top, have dinner in Fira. 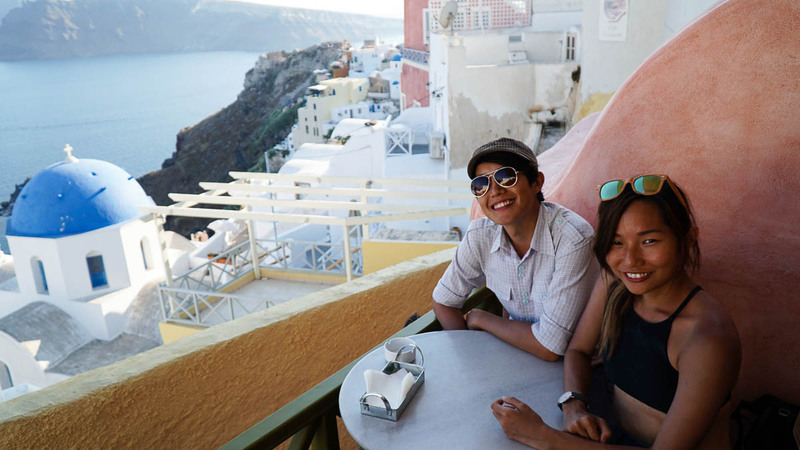 In Santorini, we picked an Airbnb located in Firostefanie which was a 10 minute walk to the main town of Fira. It was near enough to the main square yet far enough to have our own privacy on the rooftop. The room was really clean and cosy, definitely value for money! The host Odesseys also rents out ATVs for a good price; we researched quite a bit to be sure. Three bells of Fira: A popular spot for wedding photography. You can find a wide range of fairly inexpensive meals in the square of Fira but we decided to skip that and head for some wine tasting. 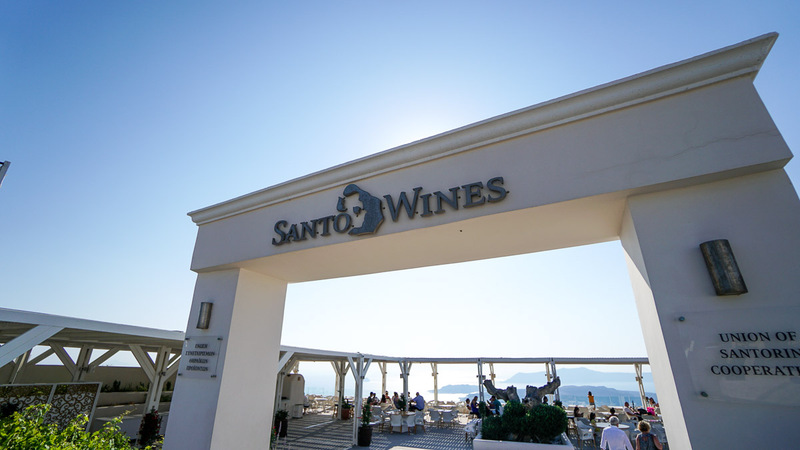 The most established one in the area is Santos Winery. 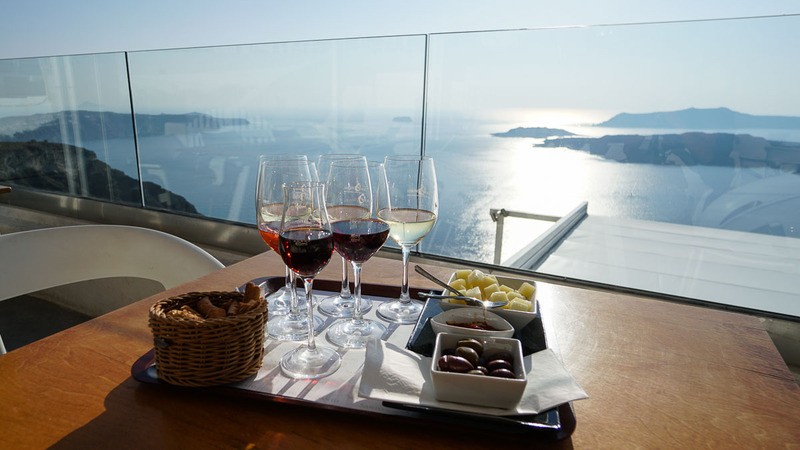 You can book winery tours with them (online only), but if you’re just looking to try out the wines, you can order a set of 6, 12, or 18 tasters along with the “Santorini” platter of Greek cheese, olives and breadsticks. *Pro-tip: A curated set of 6 costs €14.50 but if you know what you want, you can pick your own 6 like us and save €2-3. Skaros Rock: While everyone fights for a spot during sunset in Oia, this was our favourite sunset spot. 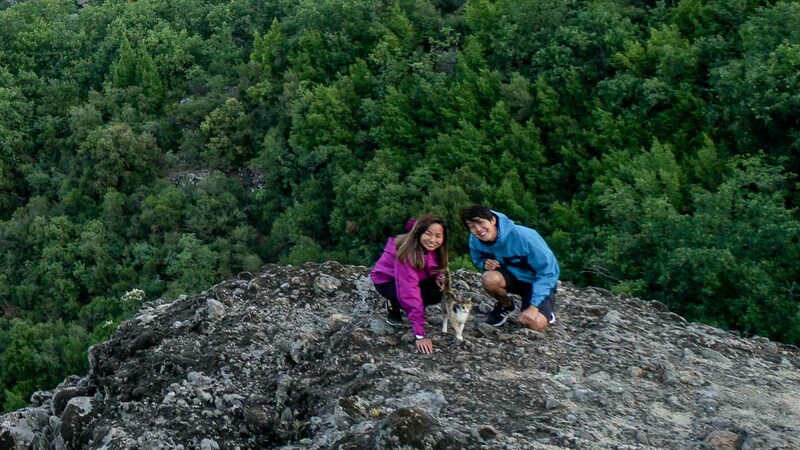 It’s a 20-minute scramble to the top, but the privacy and views are worth it. 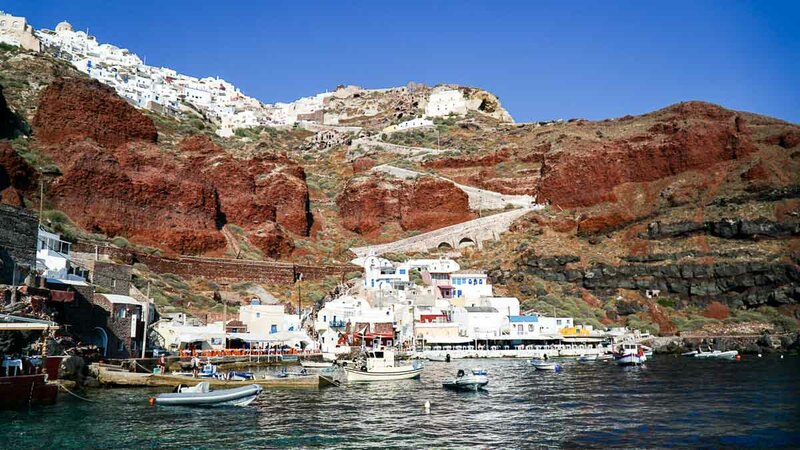 Suggested route: Sign up for a day cruise, return to Ammoudi bay for cliff jumping, explore Oia and settle in at the old Byzantine castle for sunset, have dinner back at Fira. We didn’t get to sign up for a cruise in the end as we only considered it on our last day and it was fully booked out. 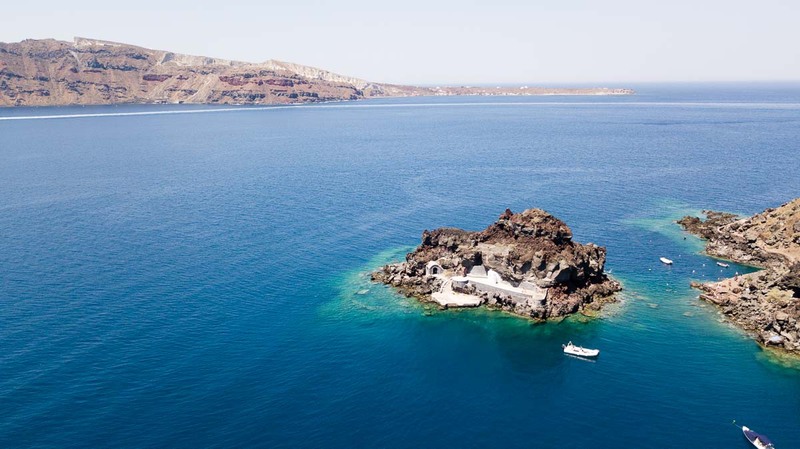 If you’re up for it though, the Santorini Yatching Club has a 5-hour day tour that sails you through the caldera to the hot springs, a Venetian lighthouse and a white sand beach where you’ll have BBQ for lunch with FREE FLOW local wines and beers. The most value for money option is the party boat that caters for 55 people. It leaves at 10am and returns to Ammoudi bay by 3pm for €85 — you can get a €5-10 discount if you sign up at the physical store. There are outlets along Ammoudi Bay, Fira, Firostefanie and Imerovigli. There’s also a sunset cruise which takes the exact same route but starts at 3pm and returns after sunset for €10 more. When you’re back from the cruise, instead of getting a ride back to your accommodation, check out this rock for some cliff jumping. At the port, facing the sea, walk towards the left — past the restaurants up on the rocks and you’ll see the cliff pictured above. *Pro-tip: Follow those in beach attire; they’re likely to be headed there too. You’ll likely walk past these donkeys too. And since you’re in Oia, take some time to explore the charming streets before locating the ruins of an old Byzantine Castle in Oia. Everyone comes here for at least 1 sunset so be prepared to squeeze with the crowds or come earlier to save a good spot — especially if you’re planning to film a time-lapse. Suggested route: Explore the Ancient Akrotiri ruins, take a dip at the red beach, check put Ancient Thera, and chill at Kamari Beach. There’s a combo pass you can purchase for €14 (half for students) which gives you admission to 5 different museums and archaeological sites like Akrotiri and Thera. 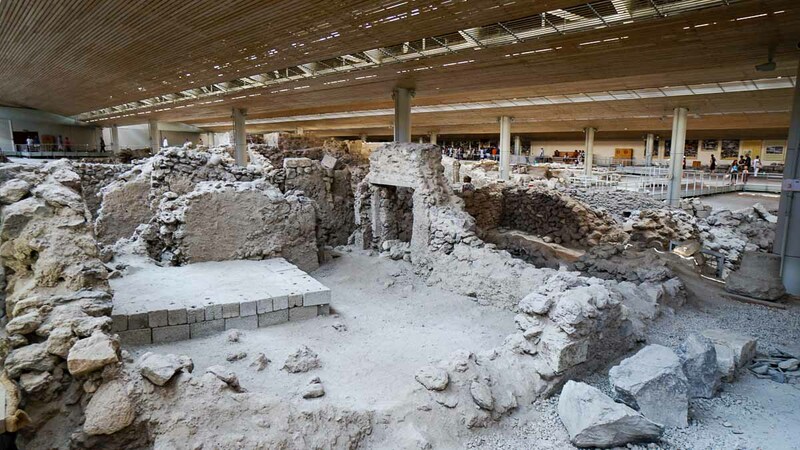 Akrotiri: Ancient site that was destroyed a volcanic eruption in the 1627 BC. Many objects and artworks were preserved by the volcanic ash. 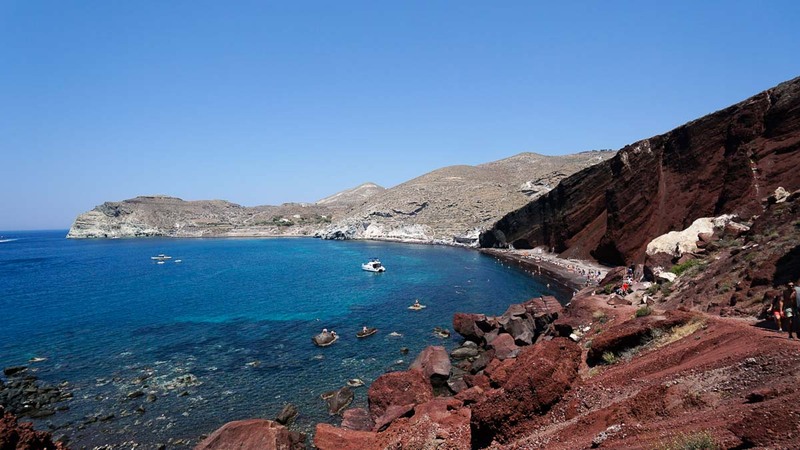 About 5 minutes from the ancient site of Akrotiri is the famous Red beach. You’ll have to swim out quite a bit to reach clearer waters and is crowded at all times of the day. 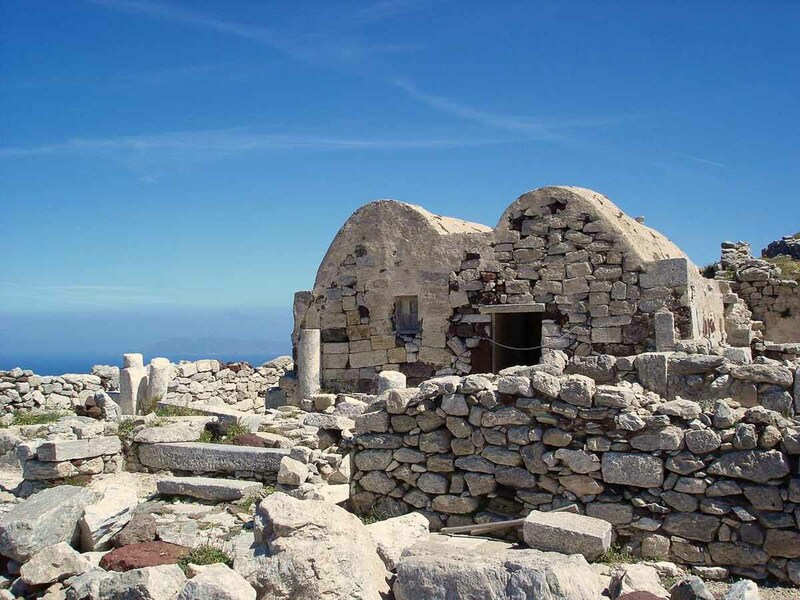 On the other side of the island, head to Kamari for the Archaeological site of Thera. Kamari also has a bunch of resorts and a beach to chill and unwind at. 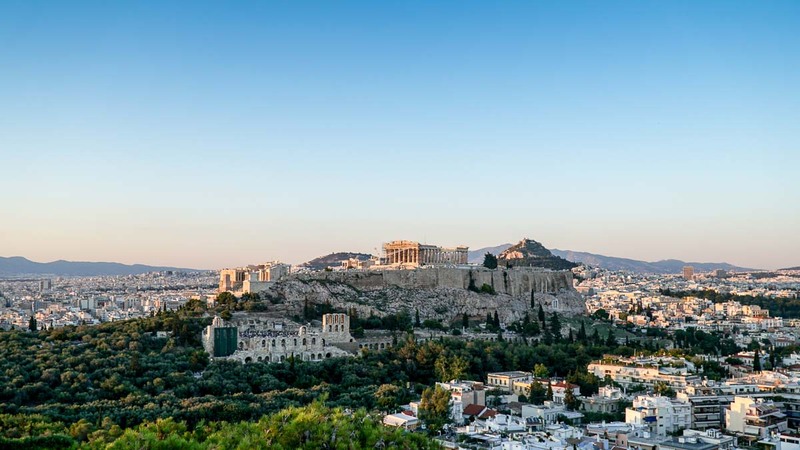 Suggested route: Take the ferry back to Athens, shop for souvenirs at the Monastiraki flea market, check out the Archaeological Museum or climb Lykavittos Hill for a final sunset, end the day with dinner along Valtetsiou street. We took the 6:45am ferry by Blue Star Ferries and arrived around 3pm but if you’d like to sleep in on your last day in Santorini, there’s another ferry around the same price by Hellenic Seaways leaving at 12:30pm and arrives at 9:30pm. This time we picked an Airbnb next to the National Archaeological Museum (near Viktoria Metro station) with two adorable cats! Monastiraki’s flea market: Lovely street lined with just about any tourist gift you can think of. Nice street to walk through with lots of Gelato stores along the way. 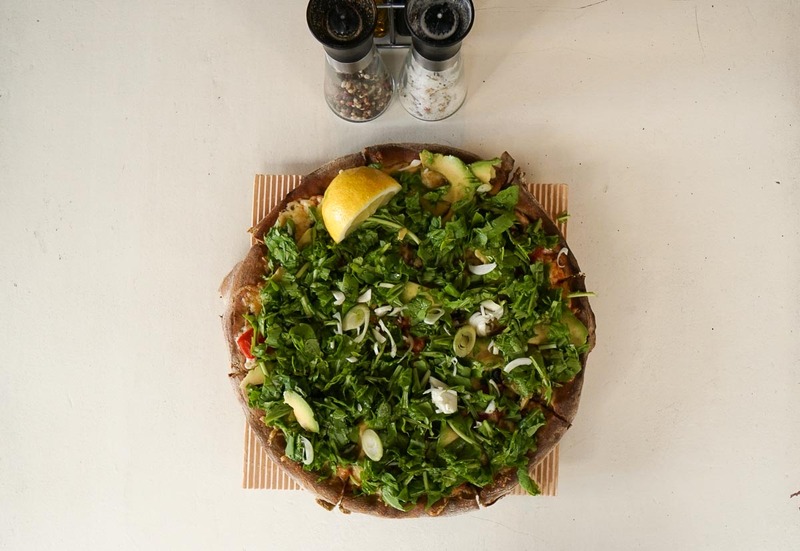 Find lunch at Mystic Pizza known for pizzas made out of cannabis flour. 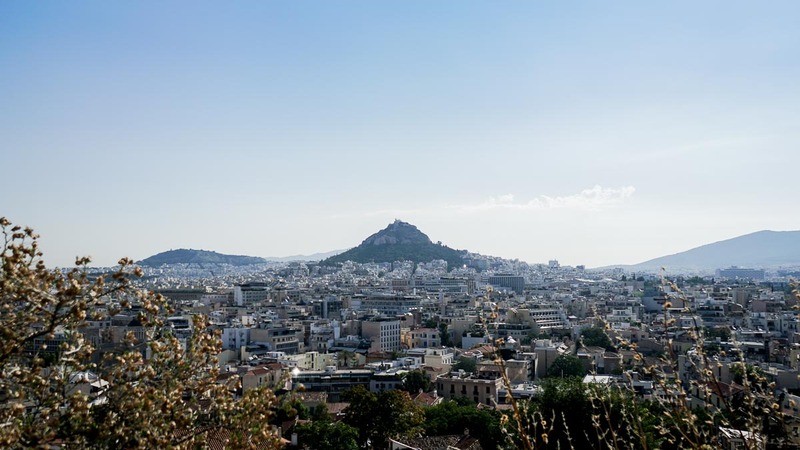 Lykavittos Hill: Athen’s tallest hill. The view of the Acropolis is a little far but it offers a nice panoramic view of the city. We settled for dinner at a place called Pozania located along Valtetsiou street which had very affordable mains and house wines. DAY 9: Back to Singapore! Took the metro (€18 for 2) along the green line straight to the airport for our flight from Athens to Singapore at 11:30am. Note that not all trains on the airport platform go all the way to the airport. Check the electronic signboard! 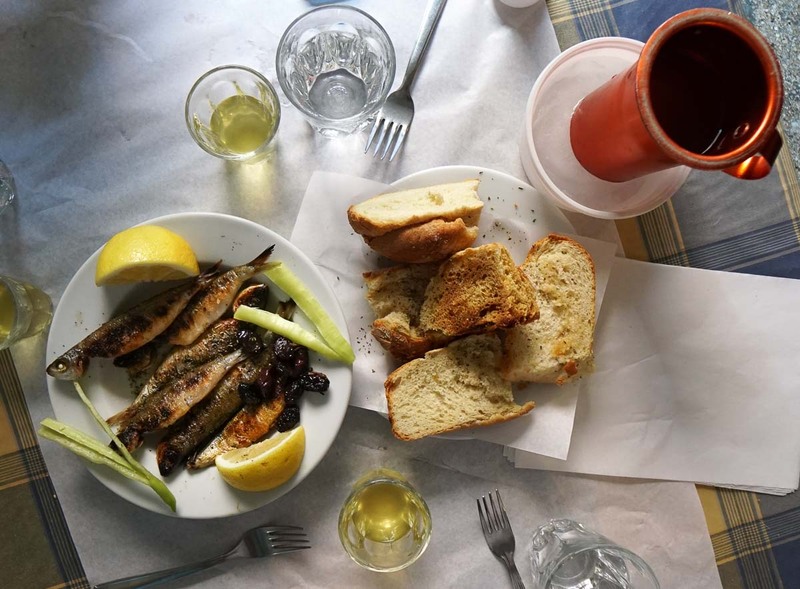 1) Food: On most days, we’d have a quick bite for lunch, and settle in a local taverna for dinner. 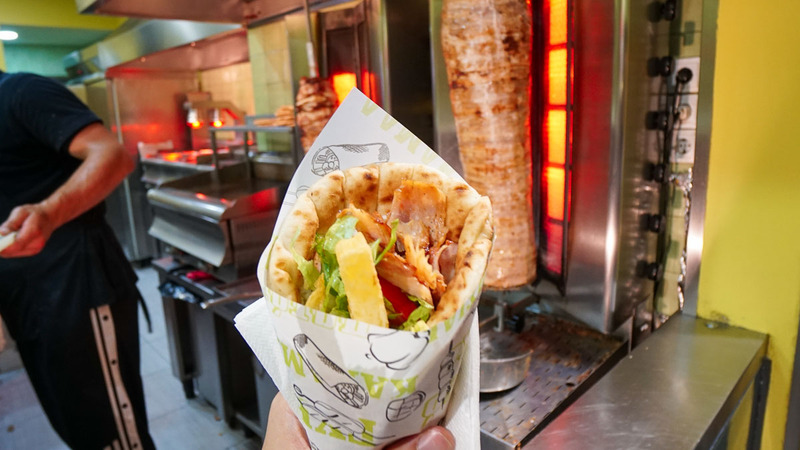 Gyros and Souvlakis are some of the cheapest fast foods you can find. They cost around €3 (we’ve had them for €1.30 too) and can fill you up. For restaurants, walk a little further from the tourist streets like Plaka and you can find nice tavernas that sell mains for €5-10. 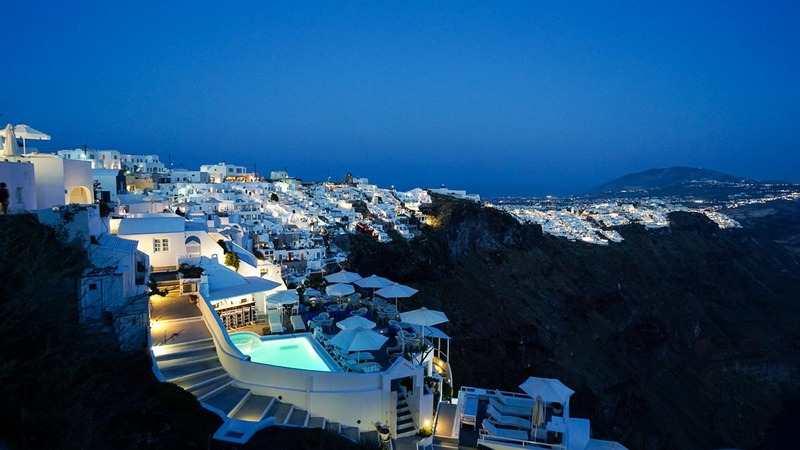 2) Accommodation: A dorm bed in a hostel costs between €10-40 in Athens and €20-50 in Santorini. We paid €20-30/pax for private rooms on Airbnb, all of which were clean, cosy and in fairly good locations. 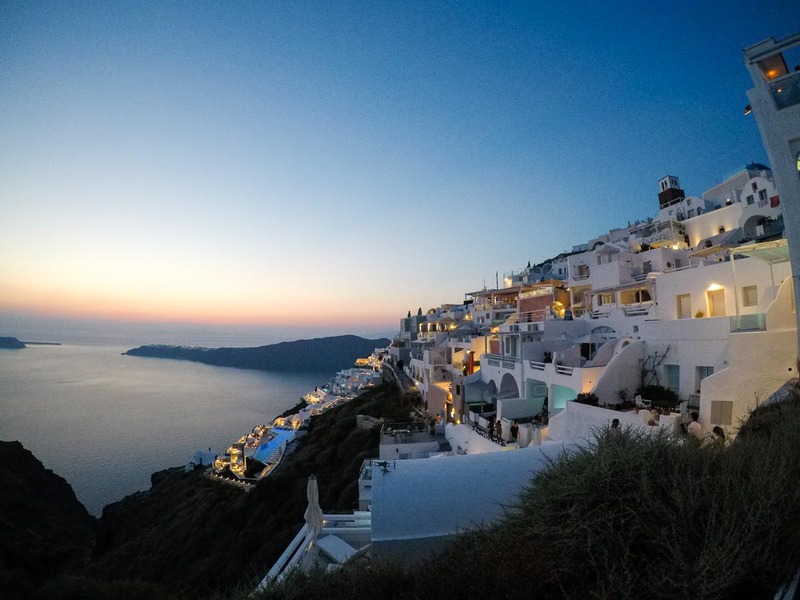 In Santorini, we didn’t get a place with a caldera view right outside our door but to be honest, I thought the privacy we got in our little roof-top room was a good trade off — no hoards of crowds walking past everyday peering into the rooms. What’s more, views of the caldera were easily accessible within a 5 minute walk. 3) Take overnight ferries to the Greek Islands: While they are slower, they are much cheaper and you get to save a night’s accommodation. Win-win. 4) Buy your train or ferry tickets online: Unless you have trouble accessing the internet, save up on commission paid to travel agents and get your tickets online. Train schedules can be found on TrainOSE. Ferry schedules can be found on FantasticGreece but once you confirm the ferry company, it’ll be cheaper to book directly from the ferry company’s website. *Remember to get your e-ticket exchanged for a physical ticket at the company’s booth near the port. In Santorini there was a €0.50 service fee charged. 5) Visit off season: May – Aug is peak season so the prices we paid in June were generally hiked up by 20-50%. If you visit outside these months, not only do you save on accommodation and vehicle rental costs, you’ll also get to experience less crowds! Do note that in the low season (Nov-Mar), some shops close early and ferry schedules don’t run as frequently. If you have the luxury to take it slow, this period would be ideal. Or perhaps, visit during the shoulder period in late September and October! 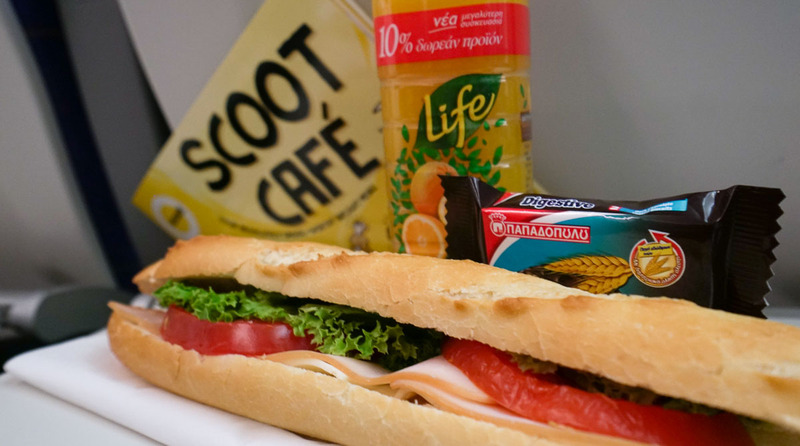 Fly non-stop to Athens from Singapore via Scoot! 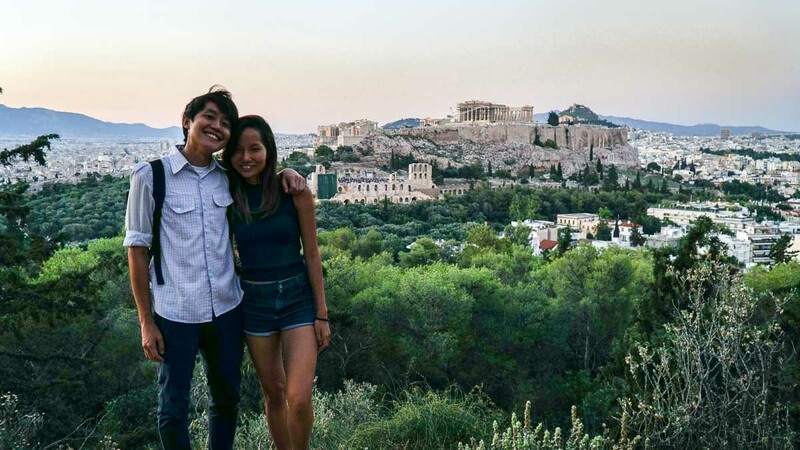 Thanks to Scoot, not only do we get to arrive in Europe in under 12 hours on a direct flight from Singapore to Athens, we got to do it in comfort at an affordable price! Their new Boeing 787 Dreamliner was really spacious, and we easily slept through the ride. While we usually scrimp on meals during short haul flights, we were more than pleased to have the special long haul meal bundle (only available for pre-order) which came with a premium hot meal combo and a light meal combo (at S$50) during our 11-hour flight. 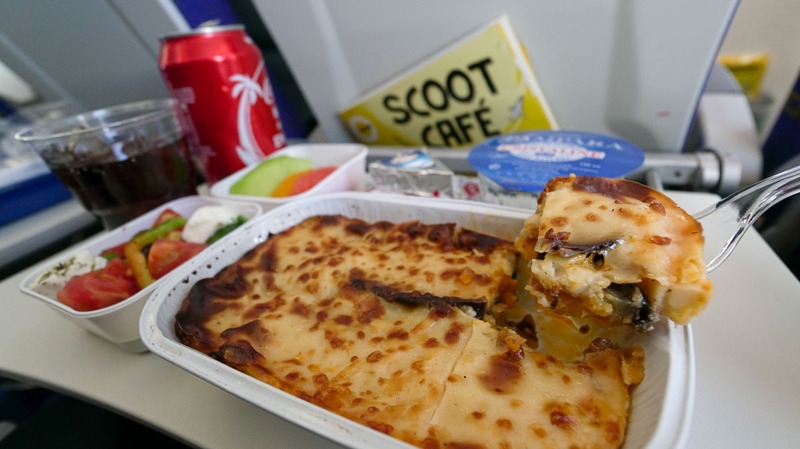 The moussaka (served during the Athens to Singapore flight) to our surprise tasted better than some of the ones we had in the restaurants. Not kidding, loved how this was not gelat at all. Fun fact: Each Scoot plane has a nickname and the one that flew to Athens is named Mous-Scoot-ka. Cute. Really loved how all the whole crew dressed up in the morning of the inaugural flight to serve the passengers breakfast — All in Scootitude fashion. These 9 days in Greece has been a whirlwind of adventures for us — experiencing Greek hospitality, indulging in cheap wine, gelato and some of the most epic sunsets we’ve come across. There was so much more we wanted to uncover on the trip like ancient Delphi, Ios and Crete. I guess we’ll just have to come back once again! Hope you found this itinerary useful. If you like what you’re seeing, like & follow us on Facebook or Instagram. 3 adult and intend to go on Dec 2017. I am heading to Greece next week and I am just wondering apart from ATV or driving, is it possible to get area by foot? (E.g. Oia to red beach). 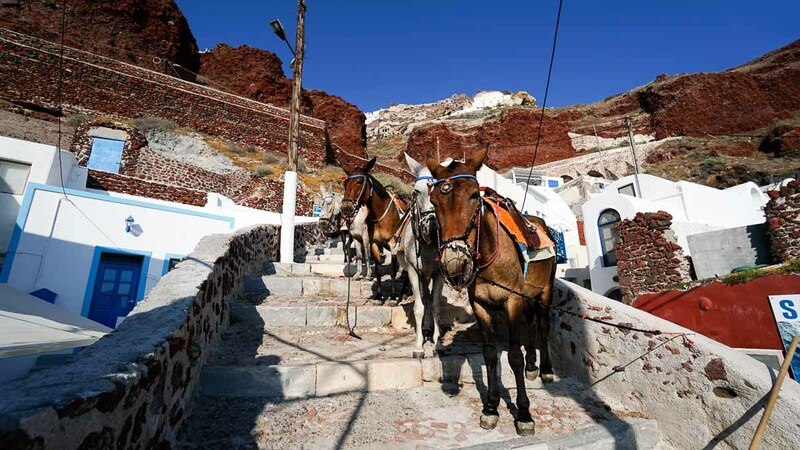 Getting around Santorini is great especially if you’re on the caldera side. However, Oia and Red Beach are about 4.5 hours by foot. This makes me want to go to Greece! How early did you guys book the train and ferry tickets? Not too sure when’s the earliest you can book the ferry tickets but we booked 2 days in advance during our trip in June — which is supposed to be a peak travel period in Greece so March shouldn’t be a problem! Thanks for the report! Going by Scoot in Dec 17 too! Great Post! I was wondering if you have a detailed itinerary of your trip to share? Hi Johnny, unfortunately this is all we have! Very useful information. Will follow your itinerary. a. how to go from Larissa station to Piraeus? Metro? if yes, which line? If not what means of transport? b. 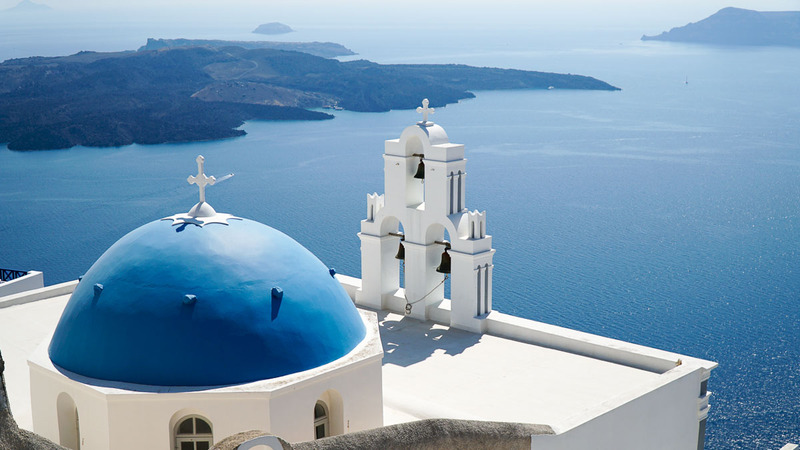 Should we book the Santorini tickets up front? c. Do we need to change the online ticket to actual ferry ticket at Piraeus? d. Where are the booth to change the tickets? e. Sufficient time to arrive in time for 11.55 ferry. Am afraid we miss the ferry. f. Is there any shower rooms in the ferry cabin? we have 6 paxs. Hi Wendy, quick answers here! b) Try to get them online to avoid the admin fee from agents in Athens! Book early since you have 6 pax. Unless you’re taking the private cabins, the other cabins are split into Male & Female so you and your friends may be separated. c & d) Yes! There will be a very obvious booth near the Ferry. Most passengers will be changing it there so you can’t miss it. You can easily ask around. The booths differ depending on the company so I can’t tell you the exact spot. e) Our itinerary is super tight. There’s no room for error! f) That depends on the cabin class you booked. We got the beds so yes there’s a shower room. The ferries are quite modern. If you got the airseat, then there will not be any shower facilities I think. Dont seems to be able to find the 11:55 pm overnight ferry on Blue Star website or any other ferry websites. They only have 0630 and 1830 sailings for March…. am I missing something ? Appreciate your advice. Thanks. Hi there, we were there over summer so the ferry timings may be more limited when you’re going in March since it’s a fairly low season. Did a quick search and it seems like Blue Star has changed their ferry schedule! When we were travelling in Summer last year it was still there! My wife and I would like to take a trip to Santorini and we came across the different type of cabin in Blue Star Ferry. Hello! I believe it’s indicative of the layout inside the AB2 cabin. The AB2 cabins face inside, so there are no windows. 2 Berths means 2 beds. Unfortunately we’ve tried researching as well but couldn’t find anything. 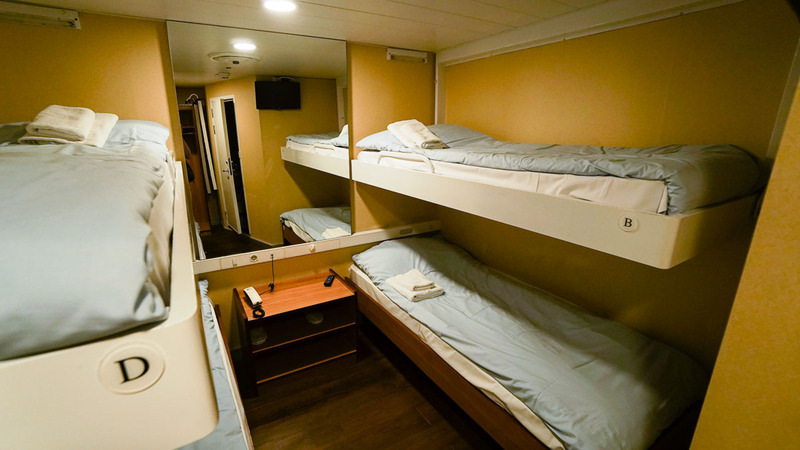 Best guess is that 2 berths as 1 berth means that the beds are beside each other? I can’t seem to find overnight ferries even for June period. I tried reading forums and forumers claim there were no overnight ferries from athens-santorini. Even the summer schedules released on the ferries’ websites doesn’t have it. Was wondering how did you manage to get the timing, is it because it was bought at the physical store/ bought very close to the date? Hey Sheryl, we bought this particular ferry ticket at a local travel agency in Athens but the timing was also shown online on Blue Star at the time. They could have just decided to discontinue it. Perhaps writing in to one of the local travel agencies might be more helpful? 1. 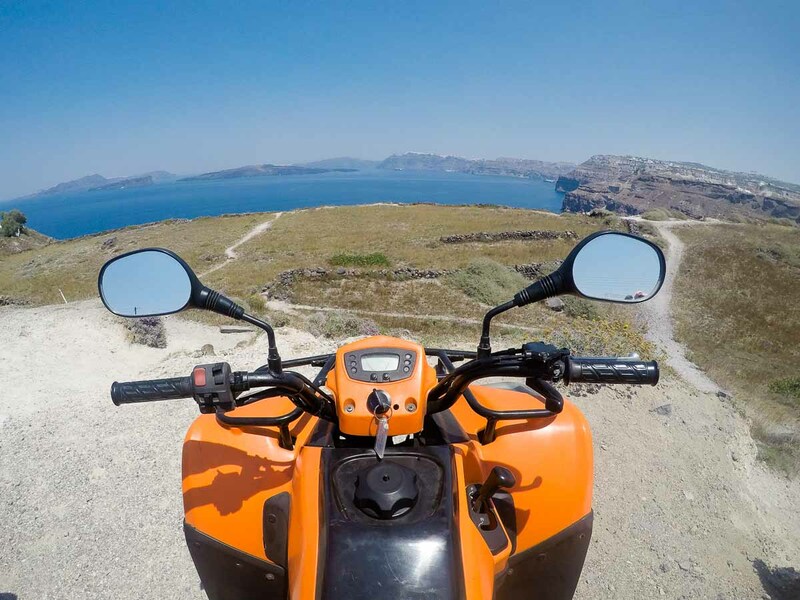 Is International Driving Permit (IDP) required for driving ATV or buggy in Greece? 2. This is my very first time taking Scoot from Singapore. Do you think it’s necessary to add on FlyBagEat on top of my current option (Fly) for a 10 days trip? 3. Regarding the Metro line in Athens, do they have something like Ez-Link where you can ride the public transport by tapping the card? 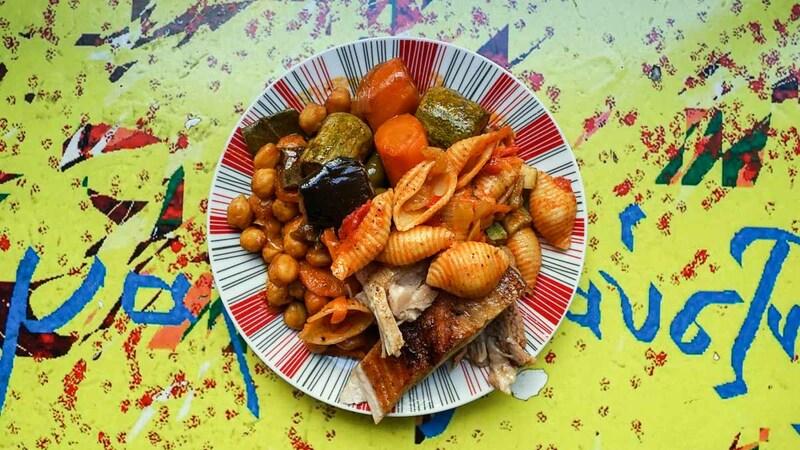 2) It’s up to your personal preference but we think that for long haul flights, having some food may be better. We recommend the hot/premium meals from Singapore as it’s much nicer than the normal meals. On the surface it seems expensive, but considering the savings from your flight tickets, we think it’s ok! I am trying to book the train online from Larissa to Kalambaka. Your blog said it will take about 5 hours, but I found that there is duration stating only an hour plus. I am so confused as to how to read their train timing. Can you help me? Thanks Billy 🙂 Glad it was useful! I did a quick search and realized why it’s confusing. 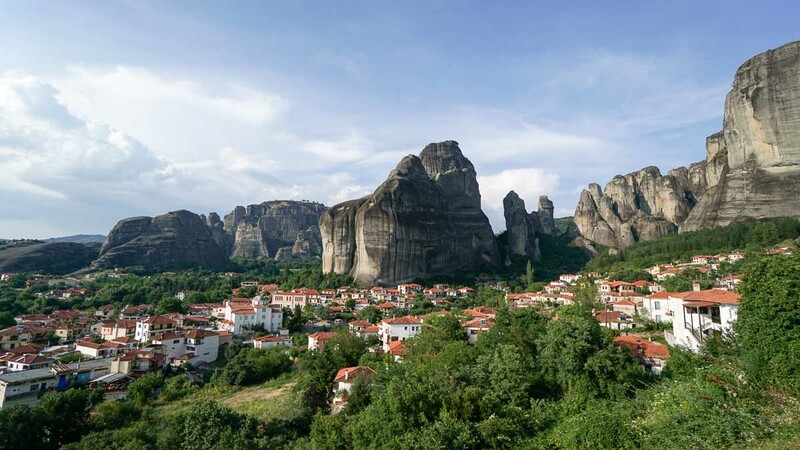 There’s a city called Larissa that’s 1 hour away from Meteora but when searching on the site, you should search Athens – Kalambaka (Meteora). Larissa OSE also happens to be the station in Athens itself where you take the train to Kalambaka. Which Airbnb did you stay at Fira ? Is the apartment near to the port ? Planning to go there in Sep but interested to stay in Imerovigli due to situated on higher elevation for better sunset and caldera views. Any chance heard or seen the place when going up to Oia ? 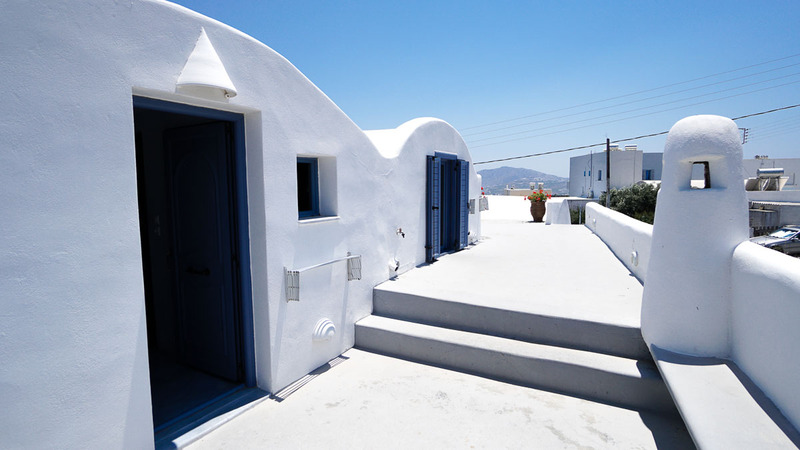 Imerovigli is beside the airbnb so it’s easy to simply rent an ATV/car/bike and move around. I do not seem to be able to open the link anymore and unable to find anything more online so like to ask few more questions. Was there any e-bikes for rental ? What time was the best to view sunset at Skaros Rocks? We found overnight ferries on Anek Lines and have booked tickets for May. They have different seat/cabin options. We’re going for the cabin. 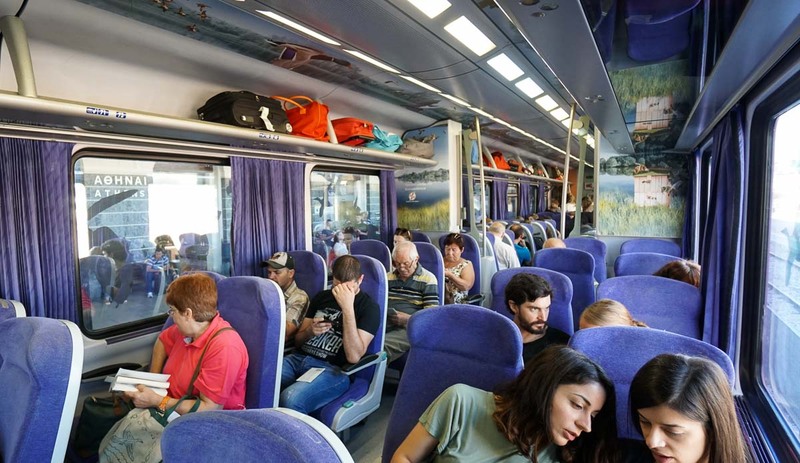 Can i ask for the train from Athens to Kalambaka, are there spaces near the seat to store luggages? I’m not sure if there’s only one type of train but the one we took only had limited space at the ends of each cabin (probably to fit 4 luggage max) and the overhead compartment. There’s also some space in front of the seat since the configuration was such that the seats faced each other; but if you don’t know the person in front, it might be a little tricky. May I know what type of seat selection that you bought for this trip with scoot flight . 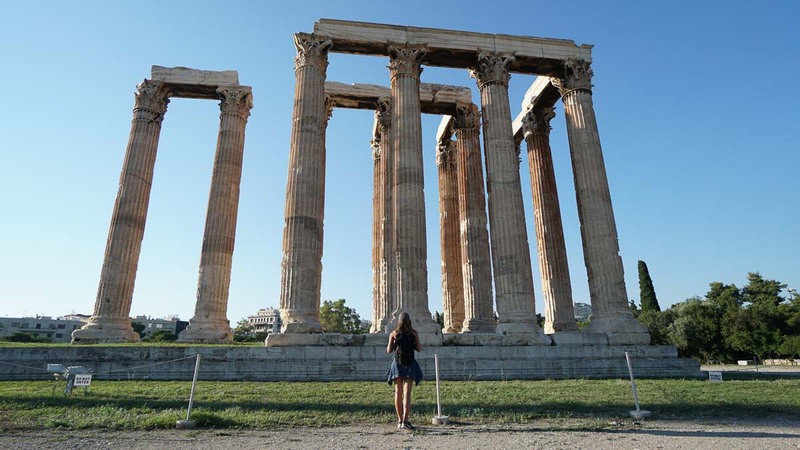 Thanks for your great blog on Greece. We plan to go in 1 month’s time and appreciate if you can advise on the below questions. a) show printout of your train ticket purchased online? c) need to exchange for physical ticket through either a or b above? If so, where to do this? Is it the Athens station between ST.METEXOURGIOU station and Attiki Station? I’m confused as some places mention Larissa station. Q3) We intend to catch the 8:20am train to Meteora also. Is the station crowded during this time? Q4) Train: The A1 and B2 cabins have 3 seats per row (vs other cabins having 4 seats per row). a) Do you know if A1 and B2 cabins are bigger seats for a more comfortable ride? b) Also from the layout, seats seem to be face-to-face instead of face-to-back like most of the 4 seater in other cabins. Am I right? PS: (April 15, 2018 at 12:12 PM) You replied that your seats face each other, was yours the 3 seater per row type? 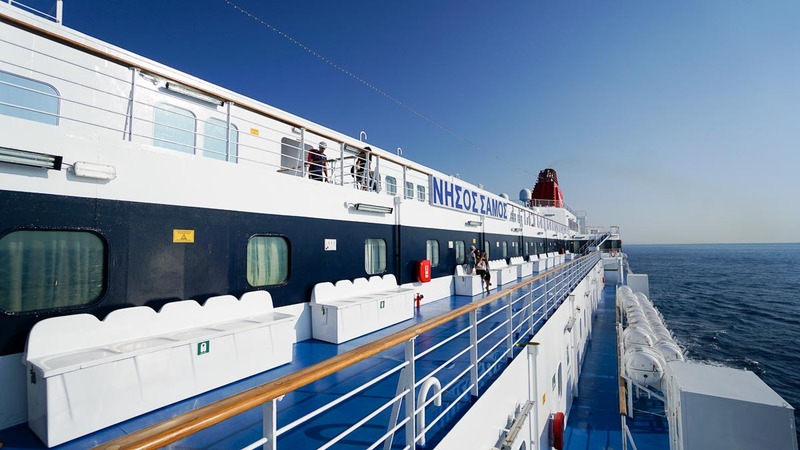 Q5) Ferry tickets: One of your replies (January 9, 2018 at 6:37 PM) said “Unless you’re taking the private cabins, the other cabins are split into Male & Female so you and your friends may be separated.” I’m travelling with my wife and daughter. Does it mean we can’t select the cheapest “Seat Economy” if we want to seat together as a family? (1) We used an e version on our mobile phone. Used iOS Wallet. Quite fuss free. (4b) yup we got the 3 seater and some faces each other. The online reservation seems accurate based on our experience! (5) they only split the cabins. If you’re getting seats you can still sit together! For Bike rental at Meteora, does it require a motorbike driving license or a class 3 driver license? The guy we rented with did ask us for a valid motorbike license because he’d loan you an electric bicycle otherwise. Not sure about the other shops though! Hi, do you have the address or how to get to that Magirion place? Unfortunately we don’t! 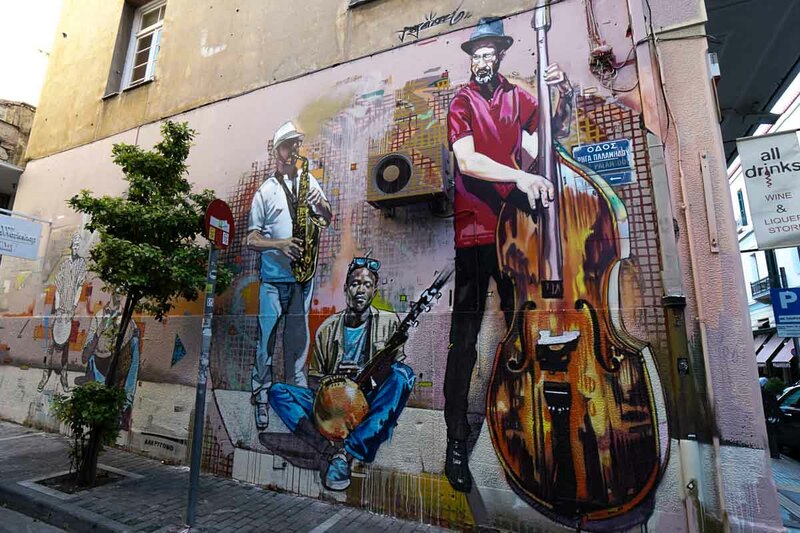 Stumbled upon it while walking through Omonia area. Sorry! We are planning to go early sept….read some horrible articles on mosquitoes in summer. Did you guys encounter any? Not really! Maybe our sunscreen was too thick! Me and my husband booked tix from scoot as well this Jan 26, 2019. I do have some questions I hope you can help me with. 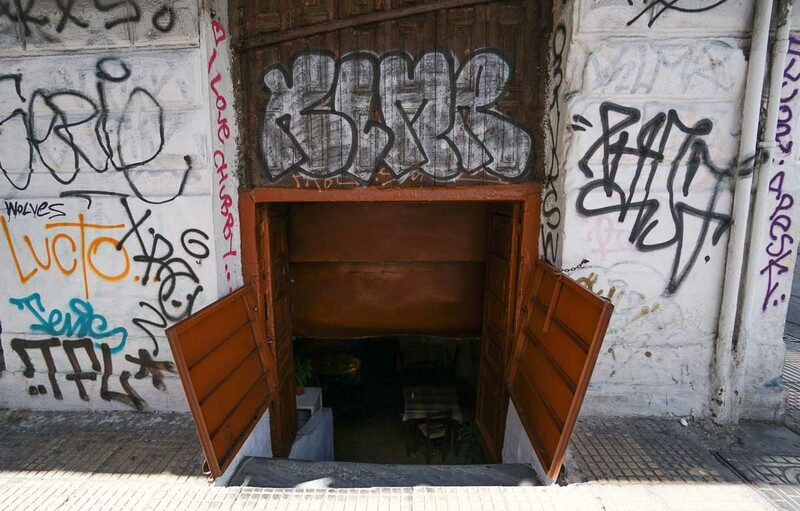 1. free local tour by a really neat initiative called “This is my Athens”, are we required to give tips? what is the sufficient amount if ever? 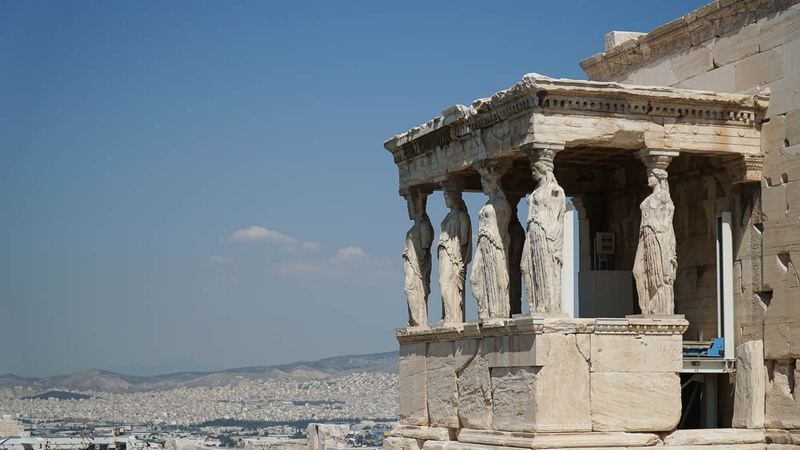 2.Acropolis combo ticket gives you access to 7 different sites , what are these sites and how much? 1) I think it depends on the guide but our guide refused to accept tips. Instead, we treated him to a meal over lunch. mind to share how much euros or sgd did u bring for the Greece trip? mainly for only food and expenses as i have pre book all my activities/tours. esp how much euro in a day? will be going in aug for 10 days and your reply will be of great help. Just came back from Athens today. 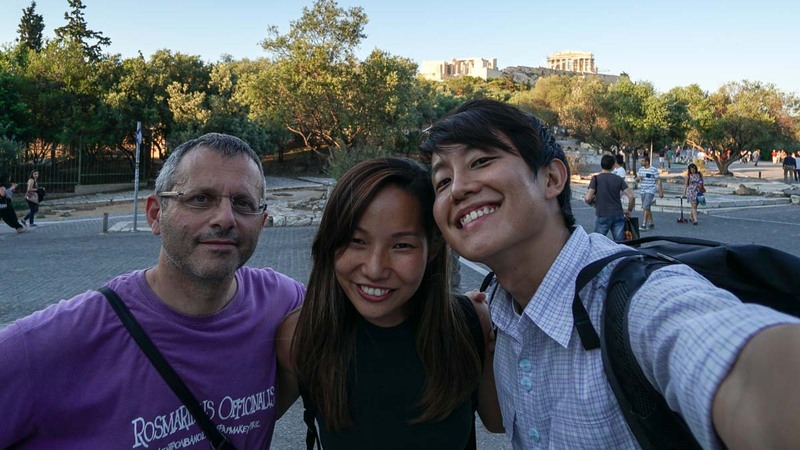 Just dropping by to say “Thank You”, your blog post did help me a lot and I really enjoyed my trip to Greece! Good Post, This is so helpful..
May i know which airbnb did u stay in fira? Tried clicking the link u provided earlier but cant guide me to the place u stayed.. thanks! Looks like the listing have changed! 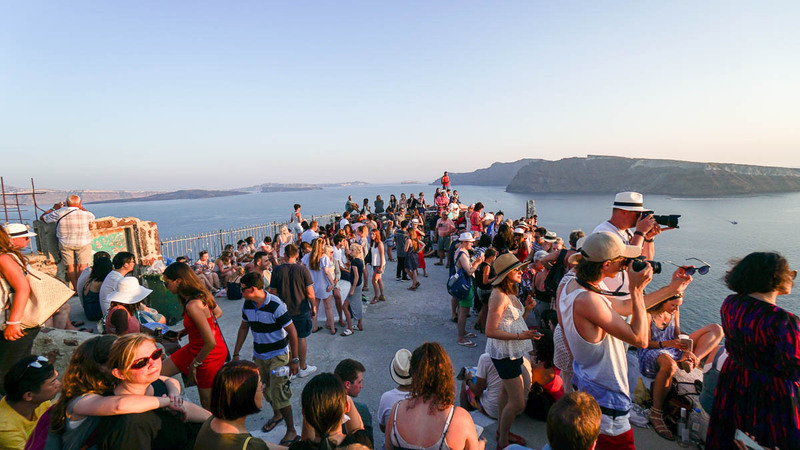 Would you consider taking a flight back to SG from Santorini instead of going back to Athens? Not if you’re on a budget! It’s actually dependent on the guide assigned to you. The guides are volunteers so it’s best to simply put in your request and see what happens! Do you get to choose where you want to go or it’s up to the guide? It’s up to the conversation with the guide. They usually try to match based on the interests you choose while submitting the form. Treat the guides more as new friends from overseas who want to show you more about their culture. They don’t get paid so they are really doing it because they love telling other visitors about their city. Hi, thank you for the wonderful guide! Can I check if you pre-booked your ferry tickets online in advance or did you wing it? Also, do you recommend using online sites like http://www.ferryhopper.com to book ferry tickets (Are they secure?) ? Hello everyone and well done for the wonderful work Cherie! Indeed, very helpful for all travelers. I’m Vassia from the Ferryhopper Team! We are a Greek StartUp and we also try our best to help all ferry travelers! We are very happy that you found about our website and we would very much like to ensure you that our platform is totally secure, with no ads, the prices of the ferry tickets are the same as from the ferry operators (no extra or hidden fees) and our customer support team is very professional! We would be thrilled if you would use and try out our website to give us your valuable feedback, through your experience!